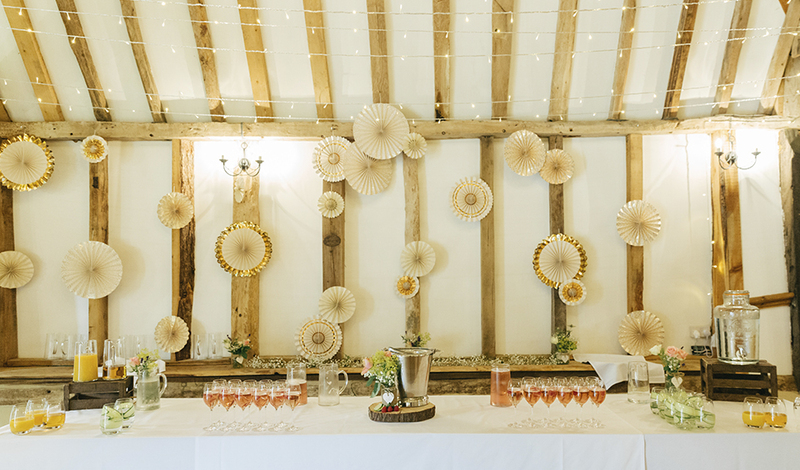 At Clock Barn, we LOVE seeing the fabulous wedding decorations that our couples choose. However, if there’s one trend we absolutely adore, it’s wedding craft. If you’re searching for amazing DIY wedding ideas, then look no further. We’ve rounded up some of the most inspirational wedding ideas for you right here and best of all, they’re all totally achievable. Ready, set, pin! To make sure that your guests don’t miss your handmade wedding decorations, it’s a great idea to craft things that you can be sure they’ll notice! Absolutely every wedding guest will look at your table plan and these are brilliant things to make yourself. There’s also the added bonus that if you DIY your table plan, you can easily manage any last-minute changes. Of course, your table plan should work with the theme of your wedding but there are lots of brilliantly adaptable ideas. How about a map of the world with your tables named after countries that you’ve visited (or want to visit!)? You can attach tags to the map showing who’s seated on what table and then carry the theme through to tables themselves. Use postcards from the location in question or even photos of you both enjoying your travels in lieu of table number signs. 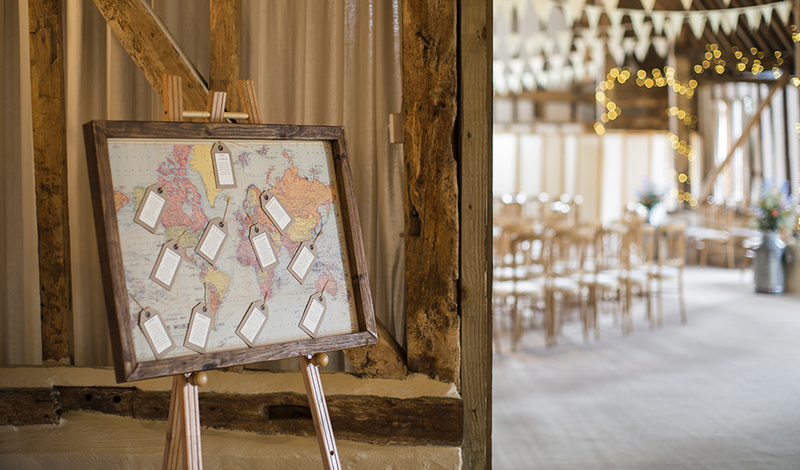 Combining table plans with favours is another great wedding craft. 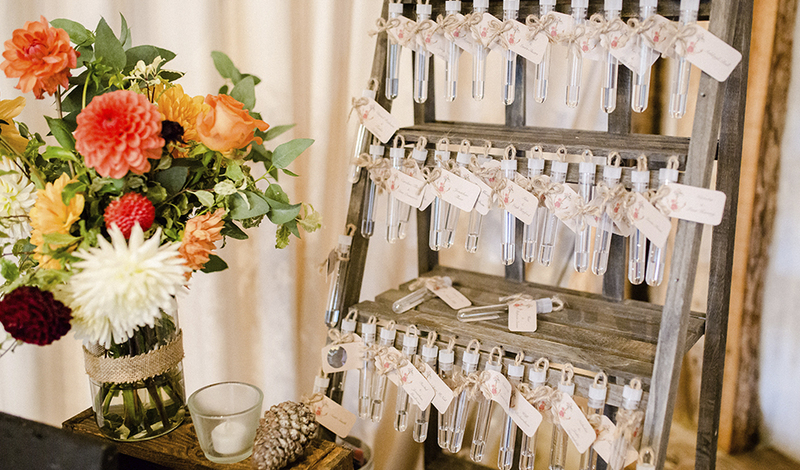 We’ve seen some wonderful set-ups with favours arranged on vintage ladders, tucked inside stacked up wooden crates or arranged on a decorated table. 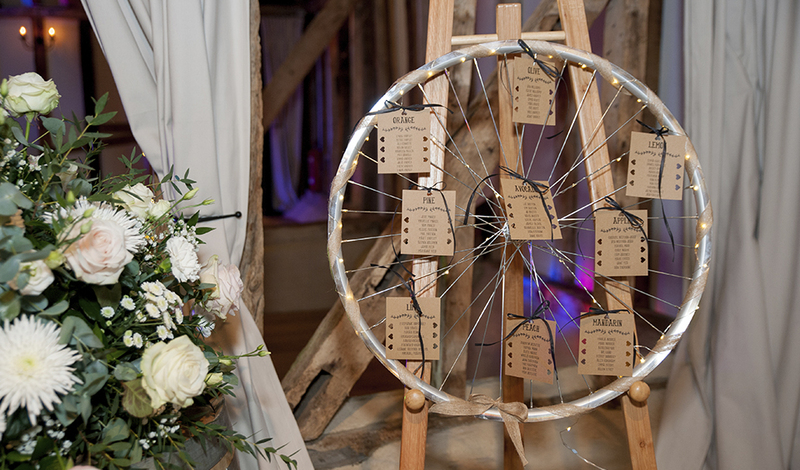 Attach a tag to each favour showing the guest’s name and their table assignment and there you have it! 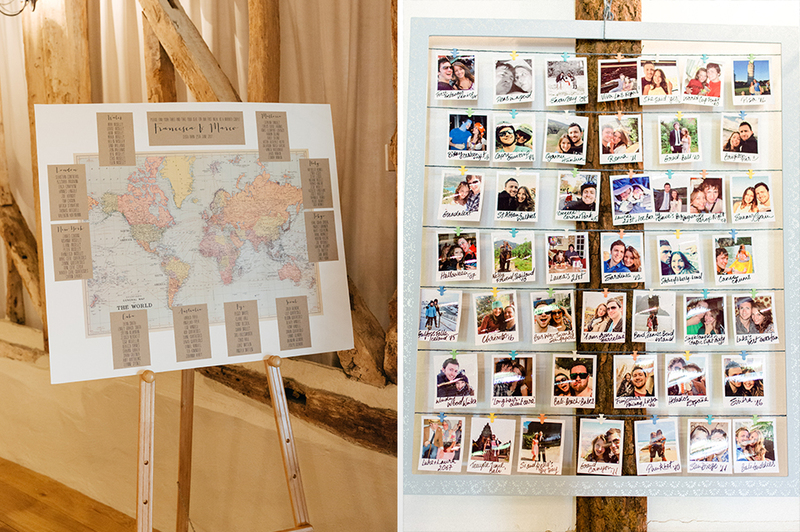 Once all the guests have taken their favours, why not add old family photos to this area as another talking point? 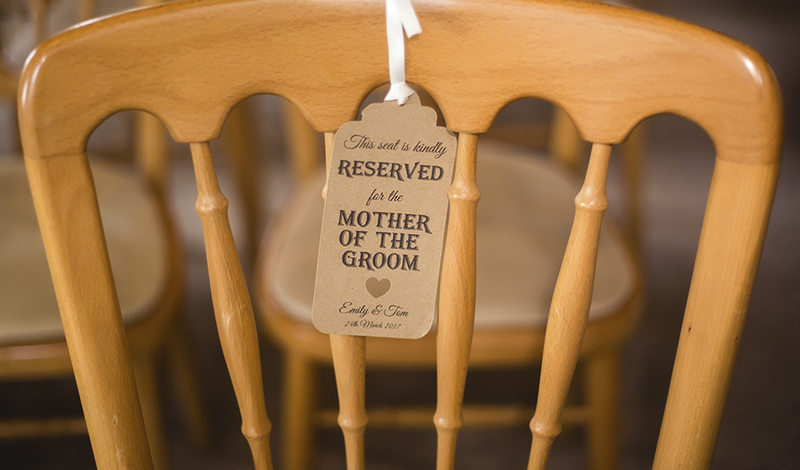 If you’re making tags to attach to favours, you could also make reserved seating tags too. Add these to the chairs of your wedding VIPs for your wedding ceremony and you’ll be sure that everyone will be in just the right place. Now this is a trend that we’ve been seeing a LOT of recently and it’s another super simple DIY. 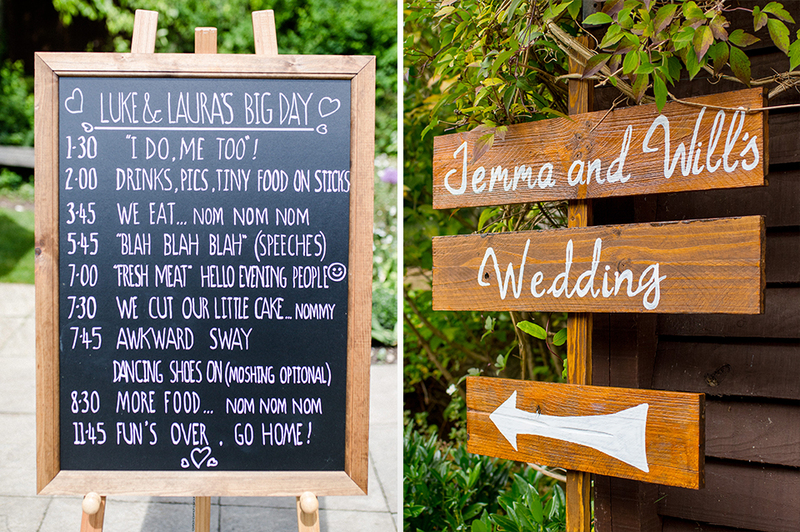 Wedding signage works so well because it points your guests in the right direction or gives them the details of the day. Writing the plan of the day on a chalkboard is easy and effective and, if you want a beautiful modern calligraphy script for your signage, you can find downloadable templates online. Signs made from pieces of wood or old crates are also excellent options and you can paint on the details in any colour your like. 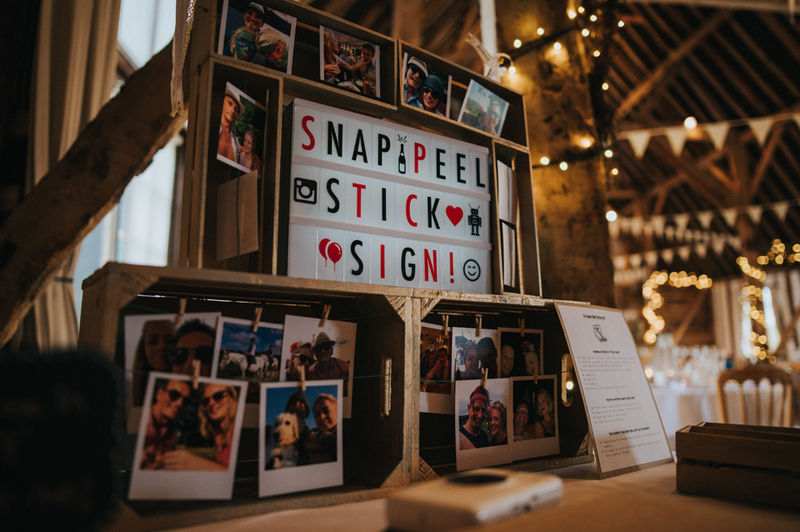 To upgrade your wedding signage, add flowers, foliage or fairylights. Bunting is always a superb decoration at Clock Barn and as there’s already lots in place here for you, it makes sense to carry this look through the rest of your day. Make your own ‘Mr and Mrs’ bunting for the top table or for your chairs or hold a ‘thank you’ length of bunting for your photos and then use this image on cards after the wedding. You can also make bunting cake toppers and table decorations or use a bunting motif on your wedding stationery. If you like a larger project, we can really recommend paper cranes, pinwheels and pom poms. These are perfect for crafters because you’re just making the same thing many times. This means that if you run out of time or make a few less than you thought you would, it really doesn’t matter. You can also make these to suit any colour scheme and get friends and family involved in the crafting too. Find tutorials online and, as a final bonus, these projects don’t need a lot of expensive materials or equipment. Of course, you want your guests to love your wedding DIY so crafting things that they can take away or interact with will be incredibly popular. Wedding favours are always top of our list for crafters – how about little homemade jams, biscuits, cookies or even little pots of herbs? 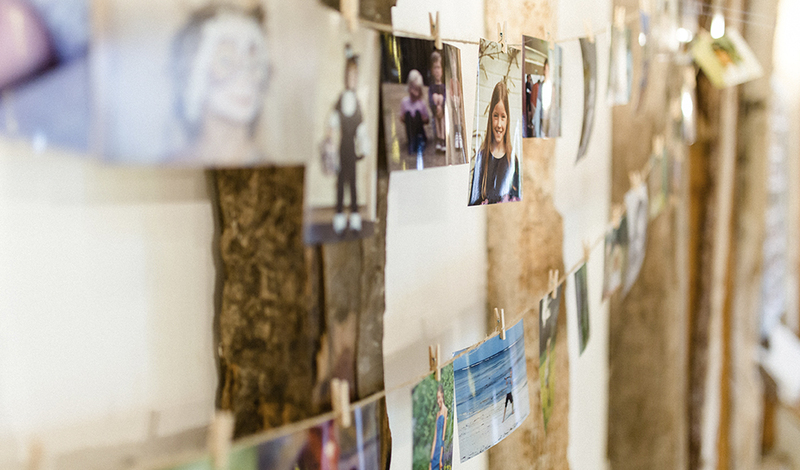 Photo displays will always attract your guests too – who can resist looking back over old photos? Print all your pics and peg them to lengths or ribbon or twine that hang against a wall and you’ll have a display that no one could ignore. Framing old family photos and adding them to your guest book table is another great idea and we also love seeing lots of photos in a huge frame. We share lots of images from Clock Barn weddings on our Instagram feed and Facebook page so if you’d like more wedding ideas from real couples, make sure you’re following us for the latest updates. Why not take a look at our Spring Wedding Ideas for Ceremony Decorations for some stunning spring wedding inspiration.